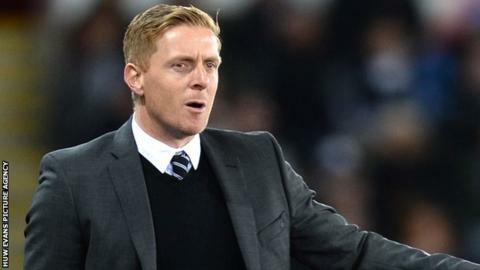 Former Swansea City manager Garry Monk believes he could have turned the team's fortunes around had he been given more time. Monk, 36, was sacked on Wednesday following a run of one win in 11 Premier League matches. The Swans are currently one point above the relegation zone. "I would have liked to continue because I strongly believe we would have come through this period together and stronger," said Monk. "But I will now use my time to reflect and improve, ready for my next challenge. "I feel truly proud of all we've done during my 22 months in charge." Monk was appointed in February 2014 and guided Swansea to their highest Premier League finish of eighth last season, his first full term at the helm. In a statement released via the League Managers Association, Monk spoke about his "great sadness" about the leaving the club where he spent 12 years as a player and manager. "The transition from player straight to manager in the biggest league in the world is never an easy challenge, but it is a challenge that I have relished and immersed myself in," he said. "I have always tried to improve the principles and values that we have built at this club on and off the pitch on a daily basis." Assistant manager Pep Clotet and coaches James Beattie and Kris O'Leary left Swansea on Thursday following Monk's exit.